Yes, yes! 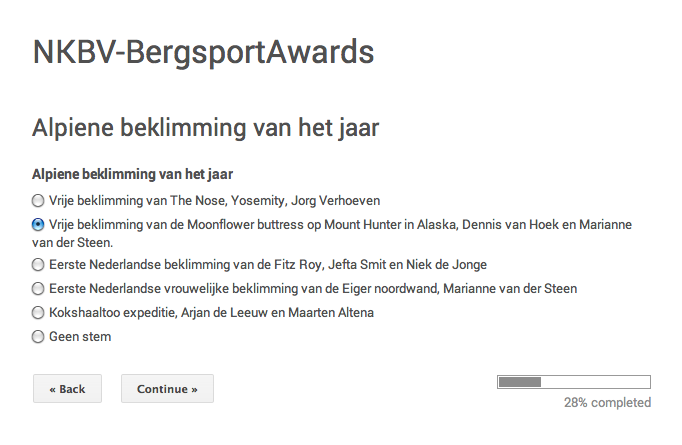 I’ve been nominated for the Dutch Mountainsports Awards! Apparently I’m the first Dutch Female to climb the Eiger Northface. 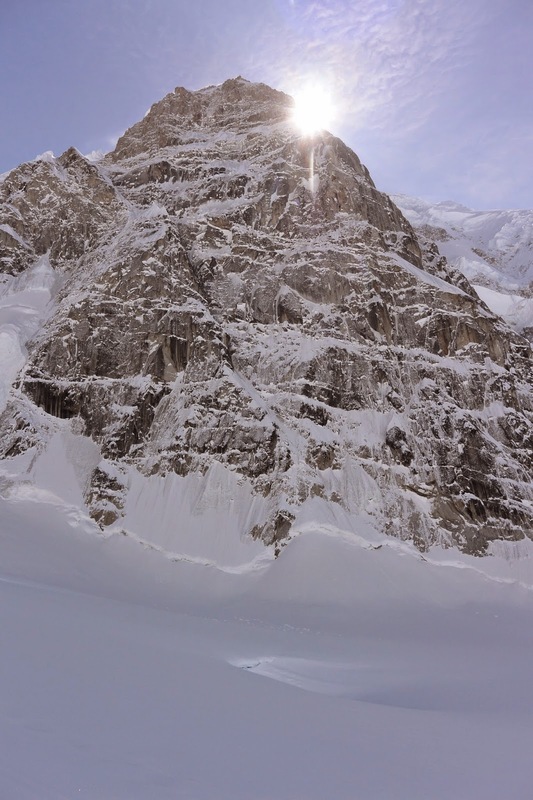 The NKBV (Dutch Mountaineering Federation) has chosen this as one of the nominations for the annual award. The second nomination is one I’m even more proud of. Actually, I’m just very happy with our free ascent itself. 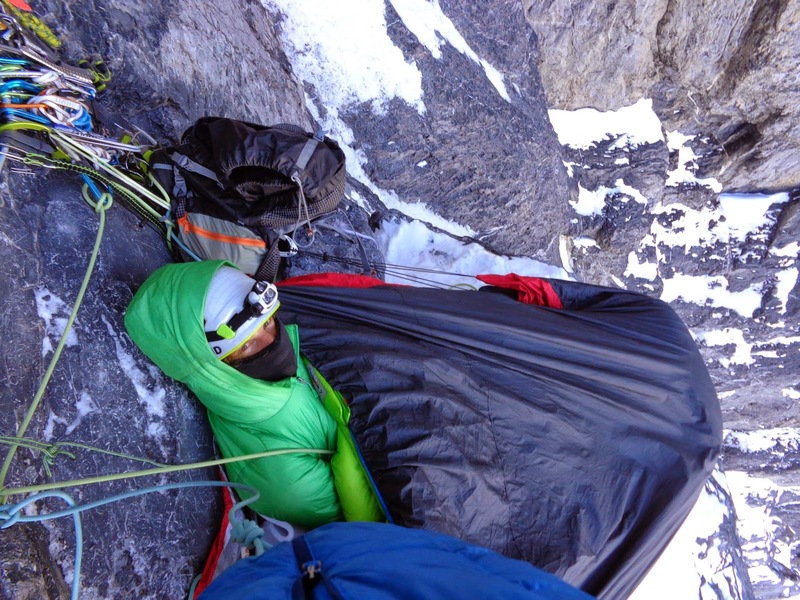 Last Spring we (Dennis and I) freeclimbed the Bibler/Klewin route on the Moonflower Buttress (Mt. Hunter, Alaska). 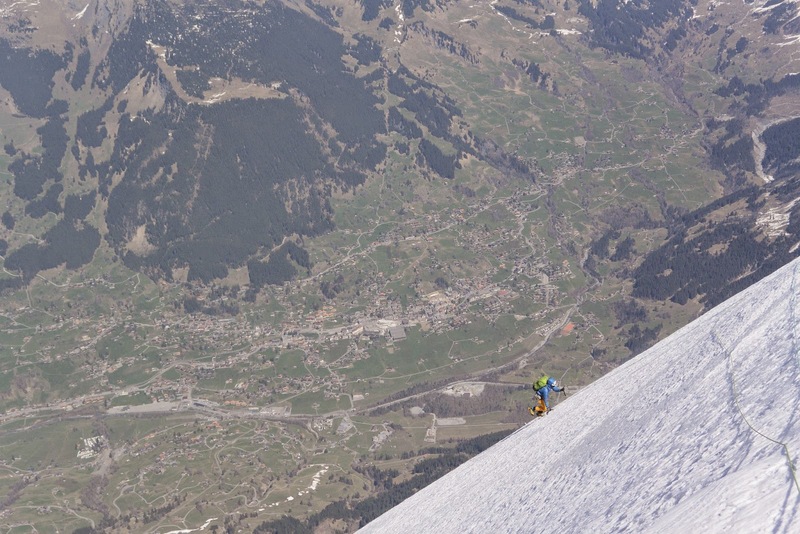 For this ascent we also got nominated for the Mountainsports Awards in the Category “Alpine”. Please, please vote for us on the Dutch website HERE.